Archibald Atkinson, nicknamed Tommy, served aboard the light aircraft carrier USS Bataan (CVL-29) from her commissioning on November 17, 1943, through the end of World War II. According to his son and this novel's author William Illsey, his father Tommy had started to sketch a fictional account of his life as far back as the mid-1990s, but no explanation is provided as to why he favored fiction over a biographical memoir. His son, a science writer and columnist who has authored several novels, completed his father's fictional sketch and turned it into a well-written novel with realistic crisp dialog and interesting plot turns. Tommy covers from his childhood in California and Oregon through the return of Bataan from Japan to Boston Naval Shipyard on October 30, 1945. With a unique perspective in comparison to most war fiction, the hero is an accomplished mathematician. Tommy excels in his mathematics and science courses at the U.S. Naval Academy, where he graduates in 1934 but does not enter the Navy due to a dearth of positions during the depression. He next completes the MBA program at MIT's Sloan School, where he meets Feathers Mason, who becomes a good friend and also serves aboard Bataan with Tommy as a fleet liaison for CINCPAC (Commander in Chief, Pacific Command) Intelligence. Japan's attack on Pearl Harbor puts Tommy back into the Navy but not where he expected. He becomes a professor of mathematics and navigation at the University of Michigan to teach classes to Navy men. When he gets assigned to the light aircraft carrier Bataan, he uses his mathematical genius to create anti-aircraft protocol to protect the ship from incoming enemy planes by solving differential equations for minimum risk and maximum protection. When the chief navigator gets arrested for misconduct including being drunk on duty and uttering physical threats, the captain asks Tommy to replace him and also to assist with the training of the gun crews. He quickly becomes an expert at gunnery even though that is not his specialty, and his anti-aircraft defense ideas and his intense training of the gun crews lead to Bataan's surviving unscathed from enemy attacks. In this fictional account, the Japanese kamikaze aircraft do not start to attack the American fleet until Okinawa. Atkinson explains that he made some changes in historical dates and sequences of events in order to create a more readable narrative. On April 1, 1945, the first day of the Allied invasion of Okinawa, Bataan shoots down several kamikaze attackers. A Judy dive bomber misses Bataan's stern by only 18 inches as Tommy takes over steering the ship to avoid the Japanese kamikaze when the young helmsman freezes at the incoming plane. The Bataan crewmen witness the bombing of the carrier Franklin, and one of the CAP (Combat Air Patrol) fighters from Bataan chases and shoots down the Japanese plane that dropped the bomb. 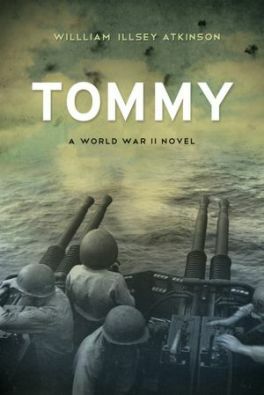 During the battle with Japanese planes, an American cruiser's gunfire hits Bataan by mistake and kills seven men, including Tommy's friend Feathers, who Atkinson explains in the Afterword is a totally fictional character. The rest of the book blends fact and fiction, so the reader cannot tell where the truth about Tommy's feats ends and the fiction begins. Feathers describes the kamikaze suicide operations of the Japanese as "fanaticism" and "crazy hate." He incorrectly explains that Ten-Go refers to the Japanese strategic term for the kamikaze aircraft operations. Ten-Go actually refers to the Japanese naval operation on April 6-7, 1945, when the battleship Yamato and nine other ships headed from Japan's Seto Inland Sea toward Okinawa on a special (suicide) attack mission. Feathers also mistakenly says that Ten-Go literally means "floating chrysanthemums" when it actually means "operation heaven." The Japanese word kikusui means "floating chrysanthemums" and was used by the Japanese to name the ten mass kamikaze attacks made against the Allied fleet between April 6 and June 22, 1945. The author incorrectly gives the date that planes from Bataan assisted in the sinking of the battleship Yamato as April 6 rather than the correct date of April 7, 1945, which cannot be attributed to his desire to create a more readable narrative.